Wait…what? Just when you thought the calamitous Donald Trump White House and the Trump-Russia scandal couldn’t take any more cartoonish twists and turns, here comes another. 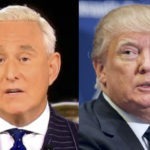 Donald Trump’s longtime friend and former campaign adviser Roger Stone, who is reportedly being investigated by the FBI for colluding with Russia to hack the election, is now attacking Trump’s son-in-law Jared Kushner. Roger Stone has given a video interview to InfoWars, a far right propaganda site run by his gun-nut pal Alex Jones. In it Stone claims that Jared Kushner has been leaking dirty secrets to MSNBC host Morning Joe Scarborough, in an attempt at undermining White House Chief Strategist Steve Bannon. Stone is not a reliable source of information (nor is InfoWars) and he’s presenting no evidence to support his claim, so the truth of the matter is not currently obtainable. But the bigger story is that Stone is now attacking Kushner of all people. There are at least a few plausible explanations for Roger Stone’s latest odd move. One is that Donald Trump has cut off Stone, leaving him to fend for himself in the Russia scandal, and that Stone believes Kushner is the one who convinced Trump to hang him out to dry – so he wants revenge on Kushner. Another is that Stone simply believes Trump is giving too much power to Kushner in general, and is trying to manipulate his old friend Trump into reining Kushner in. Perhaps Bannon even pushed Stone into making the accusation, because Bannon wants to shift the power back from Kushner to himself. It’s also possible Stone has merely snapped under the pressure of FBI investigation.